Our faire is a non-profit organization consisting of many talented individuals and hardworking volunteers from our community and surrounding communities. 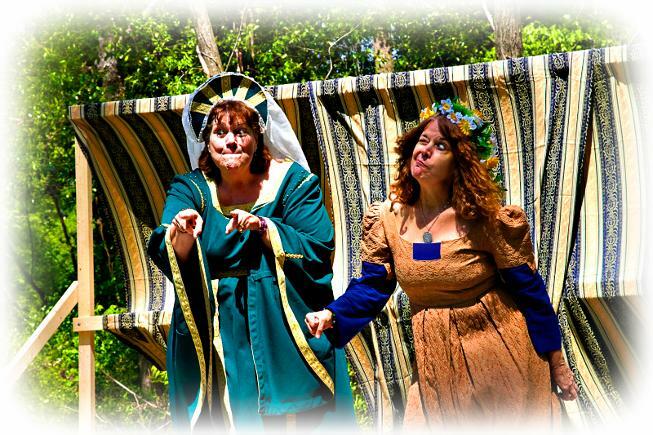 Each April, merchants, performers, reenactors, and staff come together to present a weekend of living history and medieval merriment the whole family can enjoy. Now, you can become a part of the story, too! 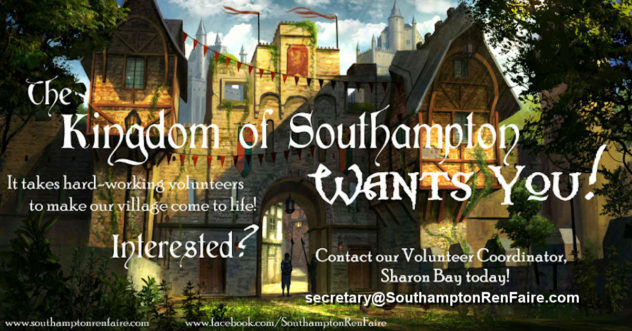 Whether knight or noble, bard or beggar, there’s a place for you at our event! Our faire also utilizes the diligent and hardworking hands of many volunteers from the local community and surrounding communities. Our volunteers aid in marketing and fundraising efforts, construction and logistics, costuming, classes, and networking between staff during the event. Newcomers are always welcome, so come join us, and get involved! Our planning meetings are held the first and third Tuesdays of every month at 6:30 PM. Merchants from near and far gather at our event to sell their colorful wares. Whether you’re in need of feast gear, weapons, garb or gifts, you’ll find it in our Kingdom! We currently have merchant spots open for 2019. P.O. Box 33 Courtland, VA 23837. The streets of our Kingdom are overflowing with merriment! At every turn you will find songs to be sung, and stories to be told. A day at faire will leave you feeling enchanted with strolling minstrels, live-action sword and steel tournaments, belly dancers, playwrights, and more! or call Renee #1 (757) 288-6418.